GREAT FUN AT CAMP MOOSE-ON-THE-LOOSE VBS! Outdoor fun and adventure await in RBP’s 2018 Vacation Bible School program, Camp Moose-on-the-Loose: Discovering God’s Forever Forgiveness. Kids will join Bruce the Moose as they experience camp fun, complete with tents, campfires, canoes, and wildlife. Through the lessons, kids will learn about the life of Christ as seen through the eyes of Peter, and will discover the lasting forgiveness that only Christ can give. Order your Camp Moose on the Loose VBS kit today! 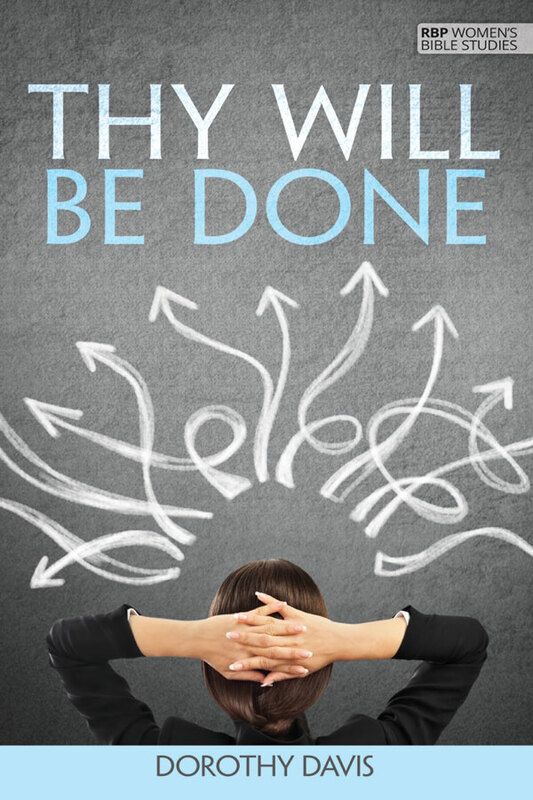 Thy Will Be Done, a Regular Baptist Press women’s Bible study, addresses the dilemma of God’s will and your desires colliding. What do you do? Jonah tried to dodge God’s will, while Habakkuk questioned it. This study of Jonah and Habakkuk provides insights into how God’s people might respond to a plan they don’t like. You’ll learn what pitfalls to avoid and attitudes to choose when God’s plans don’t line up with yours. Order Thy Will Be Done for a women’s study at your church. Posted in Classifieds, e-INFO, January 2018 on January 11, 2018.